In the second of a two part series, North Media has taken a look back at some of the best images from the year that was 2018. 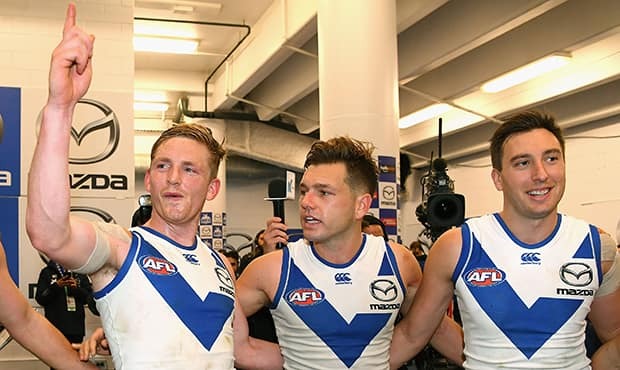 North Melbourne had some memorable results and performances in the second half of the year, and with them came some memorable photos. 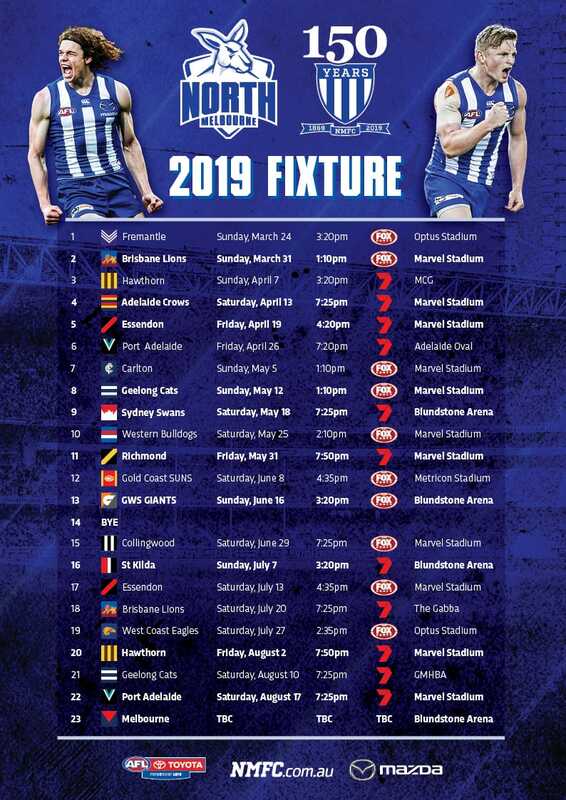 Photos courtesy of AFL Photos. Shaun Higgins evades a pair of Bulldogs. Shaun Atley and Jack Ziebell celebrate a crucial last minute goal against the Bulldogs. Paul Ahern gets a handball away. Mason Wood and Ben Cunnington celebrate a goal. The skipper leads the troops out. Ben Jacobs celebrates a goal. Majak Daw and Sydney's Aliir Aliir share a special moment. Scott Thompson battles through a busted nose. Majak Daw contends a ruck battle with Brodie Grundy. Ben Cunnington gives Travis Varcoe a 'don't argue'. Shaun Higgins celebrates his 200th AFL game with his daughter. Todd Goldstein and Scott Lycett battle it out against the scenic backdrop of Blundstone Arena. Majak Daw takes a trademark grab. Jed Anderson and Jy Simpkin celebrate the sealer against the Eagles. Shaun Atley celebrates Will Walker's first AFL goal. Marley Williams is congratulated after his 100th AFL game. Ben Brown appears to grow four extra limbs. Jed Anderson takes a big grab against the Bulldogs. Ben Brown celebrates after a goal off the ground. Jarrad Waite celebrates his final AFL goal with the crowd. The Ben Brown Fan Club. Jarrad Waite celebrates his AFL career with his children.